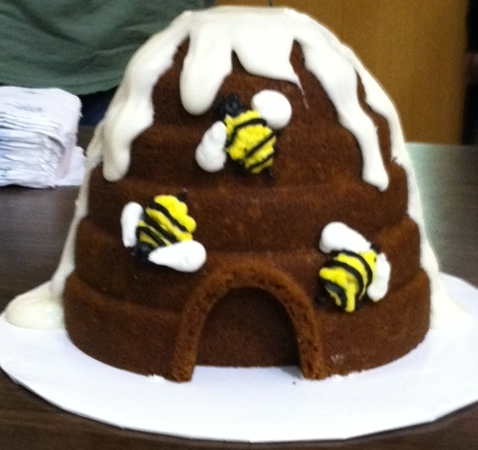 James Ann Barlean’s mother Vicki, from Cakes and More, (has been making tasty treats for our club meetings. 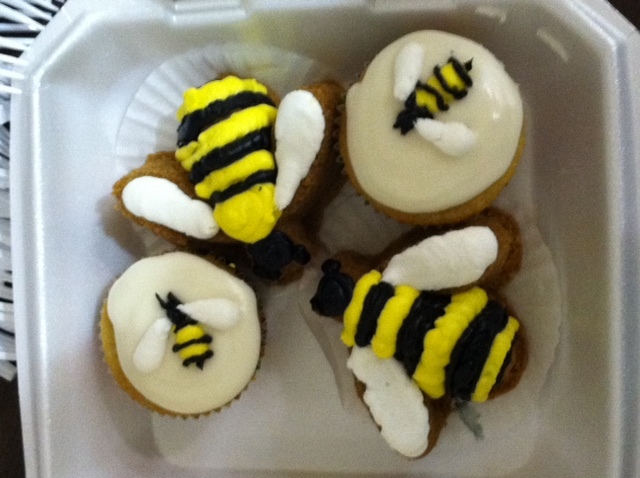 Here’s a sampling of the treats she makes (from June 2011 meeting). (Thanks to Joan Clements for these pictures). Combine the berries and lemon juice in the saucepan. Add the pectin and mix well. Bring to a boil, stirring constantly, over high heat. Add the honey and continue to stir until a full rolling boil is reached. Stir 10 – 12 minutes slowly, until the foaming subsides and the jam feels sticky. Ladle into the jars with ¼” headroom. Process 5 minutes in the boiling water canner. Allow to cool 24 hours, then label and store or eat. Honey.com — from the National Honey Board — has a section for recipes along with benefits of honey and all about honey. “That recipe is to die for,” she said. Click here for the Recipe.